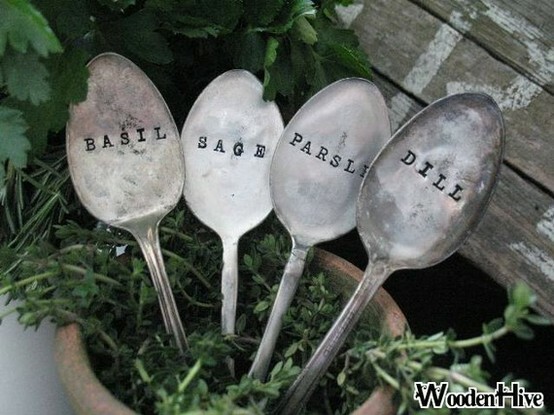 I adore this amazing idea, found on Etsy! 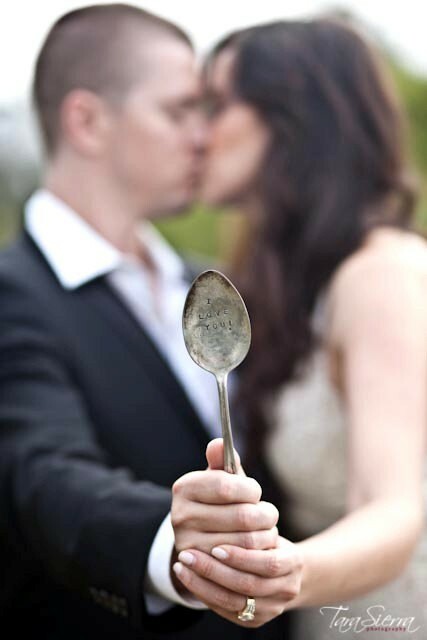 Imprinting passed down spoons, which I have plenty in my family, dating back to the civil war even, with messages of love for your wedding, or marking herbs for your garden! I love the idea of re-purposing passed down heirlooms or funky finds at an antique shoppe! 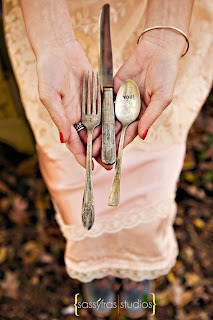 I've learned so much about turning brooches into a brooch bouquet, doilies being turned into decor coverings for mason jars and the like, and I love this savvy idea of imprinting antique spoons! What's your take on this sweet idea? Are you swooning over these spoons like I am? That is such a neat idea to put them in your herb garden! I hope you had a great weekend! Thanks ladies! It is a fabulous find! Enjoy your evenings, wherever you are!